Product Line Card | Skarda Equipment Company, Inc.
Clicking a Manufacturer's logo will take you to their website. 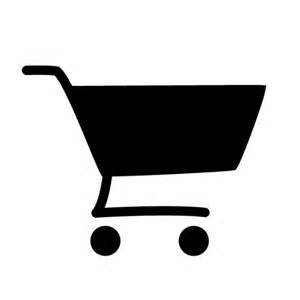 Clicking the shopping cart will take you to Skarda's product line. 4-way directional valves for Air and Gas Services. World Leader in deceleration technology-Nucushion, Rotary Dampers, Elastomer Bumpers, Shock Absorbers. Clippard Instrument Laboratory, Inc. is a manufacturer of miniature pneumatic valves, cylinders, and fittings. Cylinders of every shape and size, customized for OEM applications. Mighty-Tyke low-profile cylinders. Competitively priced full line of hydraulic components from fittings and gauges, to valves, pumps and LSHT motors. Vacuum Pumps, Air Compressors, Regenerative Blower. Gast certified Regional Repair Center. Hydraulic seals and gaskets for industrial and mobile applications. Huge inventory of aftermarket seals and kits for many OEM items. Directional and Modular Valves, Proportional, Pressure and Flow Control Valves, Pumps and Hydraulic Power Units. Nachi Industrial robots - capability to handle 7 kg to 700 kg. Tubing, hose and accessories for industrial, agricultural, laboratory and more. Electro-Pneumatic Servo Control Valves & Access. Complete line of Electric Linear Actuators, Drives and Control Systems, Online Electric Actuator sizing software. Clutches, Brakes, Floating Shaft Right Angle Gear Drives.